Awesome card Hazel. Love it. 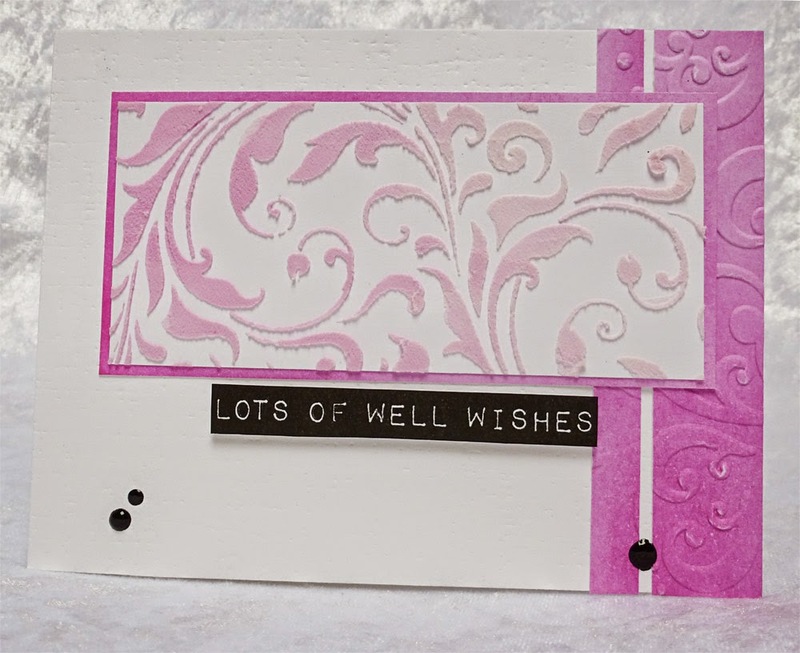 What gorgeous texture and I adore your ombre embossing paste! Just a lovely card all around! Thanks for playing along with us at Freshly Made Sketches! 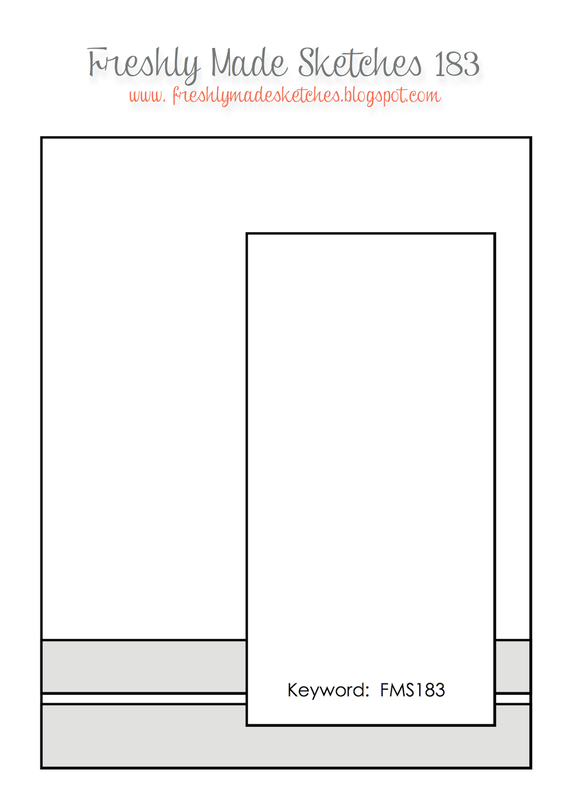 Great idea to rotate the sketch! Wonderful texture! Glad you shared it at FMS! Gorgeous card. I love the contrast of the black against the white and pink. Hazel, I don't think your mojo has left you! This is a beautiful take on both Challenges! I love the dimension you get from your embossing paste, and just love that subtle ombre effect that mirrors your background cardstock. Just lovely. 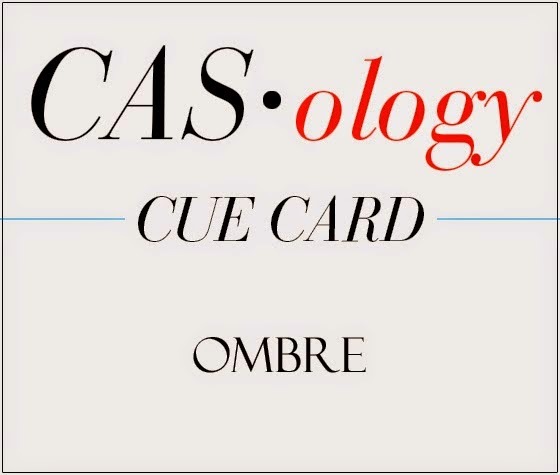 Thanks so much for joining us at CASology this week! This is really lovely! 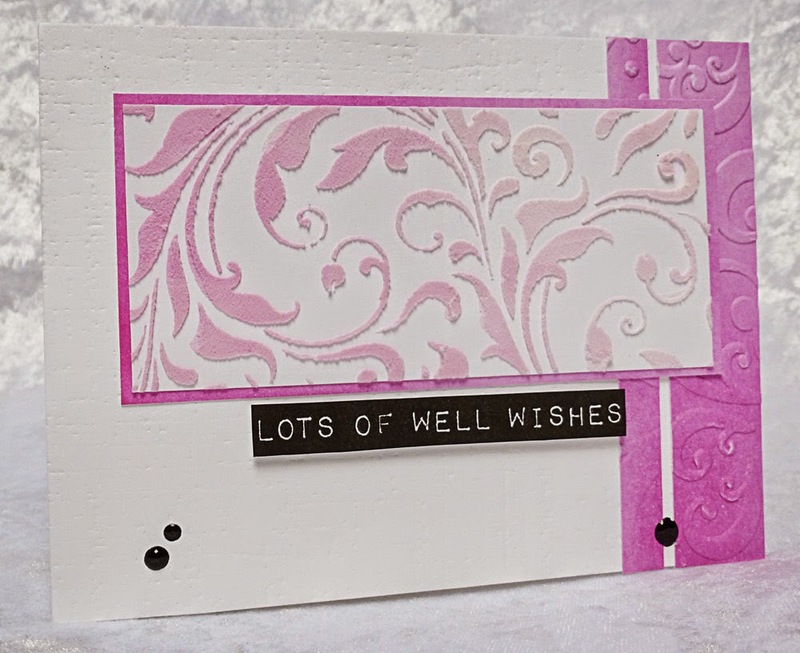 I love all the texture you've added to your card as well as your ombre effect. Thanks for joining us at FMS this week! This is so ELEGANT!!!! Love it!!! Thanks so much for joining us at CASology this week!! Love your rotated version of the sketch, Hazel!!!!!! 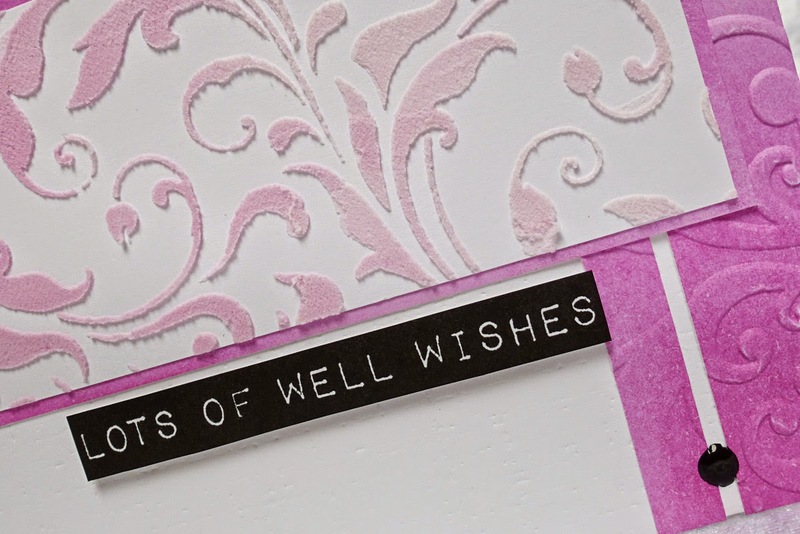 The embossing looks great and I love the sentiment!!! The purple with the B&W is beautiful!!! Love this take on the sketch...so creative and so beautiful with all the purple!